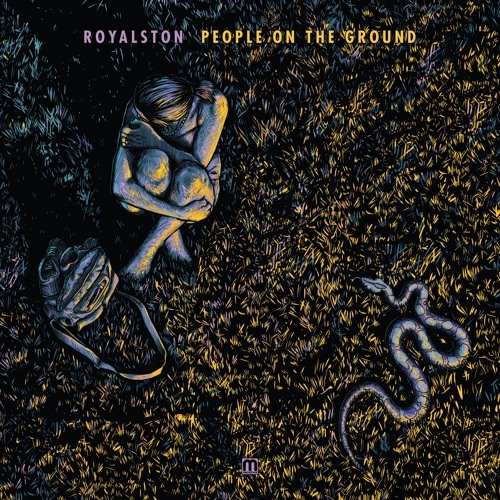 Royalston is one of the many highlights of Med School’s diverse roster, and with good reason; his prolific and unusual take on D&B continues to be a breath of fresh air in a scene with far too many copycats and producers all too willing to stick to the well trodden path. His second full length for the label in as many years is full of eclectic delights, with a plethora of influences coming together across the fifteen tracks, bound together by meaty 170BPM underpinnings. The willingness to play with the formula only adds to the impression that Royalston has very much found his stride, confident in his own ability to experiment and express. The titular People On The Ground proves to be one of the highlights, building up through a piano led, trip-hopy first verse before tearing out into an unexpectedly massive second drop. Elsewhere we’re treated to the eminently bright and chunky Blight Mamba, the creepy synths and insistent tribal rhythms of I Saw The Face Of A Person and the madcap, helter skelter breaks of XOR to name but a few. While phrases like “tore up the rule book” and other similar hyperbole are vastly overused in reviews and press releases alike, it’s certainly true that Royalston’s work walks an interesting line; the tracks here feel fairly DJ friendly in structure but certainly aren’t bound by traditional D&B tropes to any great extent. Indeed that he manages to walk this line is quite a feat in itself, let alone that the results are so pleasing. DJs looking to throw the crowd a few curveballs and listeners looking for a break from predictable 2-step rollers should definitely check this out; even in a year of strong D&B albums, this one stands shoulder to shoulder with the best of them. Check out the album minimix below for a flavour of the tracks and hit up the Hospital Store to grab it on vinyl, CD or digital now.